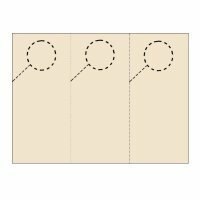 Our three-per-page door hangers measure 3-2/3" x 8-1/2". 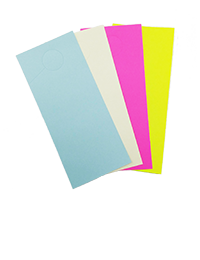 The door hangers are made from cardstock paper for extra thickness and are micro-perforated for easy separation. 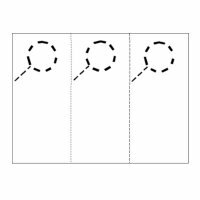 The circle and slit are micro-perforated as well so you can easily place the hanger over your prospect’s doorknob. Use our handy Find Your Paper tool to find out which of our products will work in your printer.